It’s here! 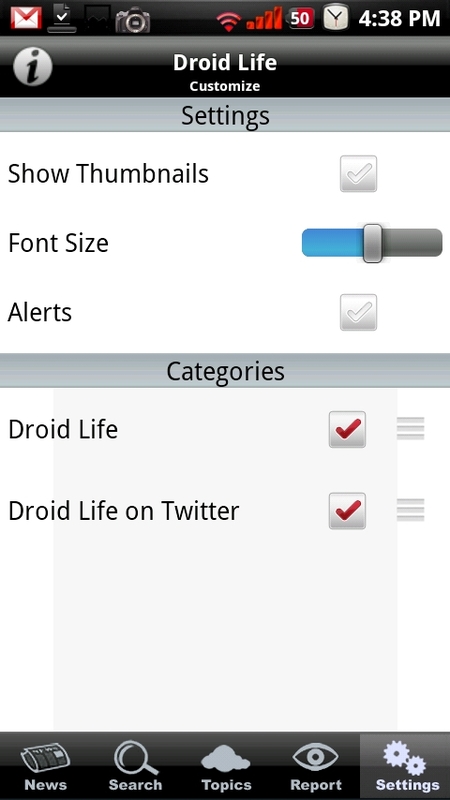 The Droid Life app is finally available for you all to download in the Android Market. While this app doesn’t have any groundbreaking features, it is a nice reader-style app and will allow many of you to follow both our Twitter and blog feeds in one simple place. And yes, this puppy is free. What I find fascinating, is that almost 1,000 people found this app without me even notifying you. In fact, the developers were testing it the other night at almost midnight and some of you caught wind of it and downloaded it over 500 times. You guys are crazy! Please feel free to let me know of any bugs and I will be sure to forward those on.